What Can You Learn From This Classic Golf Match? Wow! Was that a fantastic golf match or what? Tiger and Rocco – Player e Player for 19 holes. That’s about as good as it can get. But, I’m sure you’ve had your fill of hearing and talking about the match. Enough about them already – let’s get to your golf game. What could you take away from the US Open to help your golf game – and I’m not talking about one of Johnny Miller’s tips. The leadership on the PGA Tour has changed from Tiger Woods to Vijay Singh. Wow! Considering how dominate Tiger was for 4-years – nobody would’ve thought Tiger would lose his #1 ranking at this stage of his career. Are you still working on “The Tour Putting Square”? Did you try it once or twice and have given up? Or maybe you’re not interested in improving your scores and haven’t even tried it. Or worse – maybe you’ve taken a Monkey attitude by saying – “Well Marc, I really need to practice my Driver before I work on my putting.” And I agree, if you’re always in the trees – then you need to straighten out your Driver. Though how many times in the last 2 months have you made bogey, double bogey or worse from the fairway? Tiger has just unseated Michael Jordan as the World’s most popular sports star. Now that’s an amazing task and I may be wrong, but I don’t believe any Golfer has ever been number 1 before. Maybe Arnold Palmer, but I doubt that since at his height of popularity he would’ve been up against Mickey Mantle. There’s that word again – perfection. Though as good, or should I say great, or maybe invincible as Tiger is – he’s far from perfect! Nobody in this game is perfect. Yet, we still hear every week Golfers that write to us or tell us how inconsistent they are. And again, we need to know what are the standards for consistency and inconsistency. So when you say – ‘I’m too inconsistent’ – what are you basing this on? What standard of excellence are you comparing your desire to hit the ball well in your quest to break 90 or 100? The Masters is a good place to find ideas you can use to improve your golf game. The golf course plays tough; you have a grouping of the best Players in the world gathered together and they’re playing under more pressure than probably any other golf tournament! One of the great aspects of watching the Masters on television is the number of cameras in the best possible positions – not just to see where the Players hit their balls, but you get to see them PLAN their shots. How can you become more consistent with your Golf Swing? What do you need to do to become more consistent? In order to become consistent – watch consistent people! And there’s nobody more consistent on the golf course than the Players on the PGA Tour! Congratulations to Brian Vranesh. Who’s Brian Vranesh? He’s Mr. 81 on the PGA Tour this year! What’s Mr. 81? He’s the first Player on the PGA Tour this year to score above 80. Now this isn’t to make fun of or ridicule Vranesh – this is just to show that even people who play golf for a living can have a “bad” round. Yet a “bad” score for Mr. Vranesh might actually be a great round for you. As GMS is a big believer in using a Result Based Approach to help Golfers improve – and the results of our Golfers show GMS works – we’re going to use Vranesh’s “bad” 81 to help you score a “great” 81. Can you improve your golf game by watching John Daly? Yes, you absolutely can. You just have to know what to look for. As much fun as it used to be to watch John Daly hit a golf ball – it’s sad to see him now. It doesn’t look as if he’s having a fun time on the golf course – well, I guess the same can be said of most Golfers that are struggling. If you only were able to see Daly during his prime on television when he – ‘Gripped it and Ripped it’, you missed something special because there was nothing like seeing him live and standing next to him as he hit a golf ball. It was incredible! 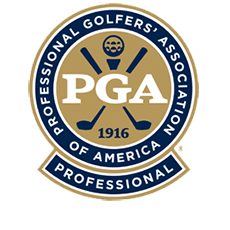 What Can Your Learn From A PGA Tour Player? Stats are a great way for you to understand what your expectations should be on the golf course. And believe it or not, many Golfers expectations of what the range of scores that they should be scoring is far off. For example: once a Golfer scores a 95 for the first time, they usually expect to score from 95 to 100 in their next 10 rounds. And when this doesn’t happen, there’s a sense of that you’re not improving and possibly getting worse. Is Your Golf Swing As Consistent As Tiger Woods’ Swing? Continuing from last week’s Golf Improvement Weekly about the length of your drives ….. Tiger Woods only hits a drive over 300 yards 24% of the time. Or in other words – only once in four drives. So if his drives over 300 yards can be considered his best drives – then 3 out of every 4 drives the ‘Best Player On The Planet’ hits would have to be classified as either average or below average for Tiger. Who Has A Better Golf Swing – Phil Mickelson Or Joe Durant? Who would you rather play golf like – Phil Mickelson or Joe Durant? Now Joe Durant is a fine Player or he wouldn’t be on the PGA Tour – though I’m sure that Joe Durant wishes he could play like Mickelson. So unless you’re Joe Durant’s mother, I’m assuming you’d pick Mickelson. The Last Time The US Open Was In Pebble Beach -History Was Made! Who Will Make History In 2010? As the US Open Golf Tournament returns this coming weekend, it should provide for interesting theater as there are a few big, boldfaced names involved: US Open – Pebble Beach – Tiger Woods. Three subjects – each alone is powerful enough to pique even the most casual golf fans interest. Yet, considering the history of those three names, when used together – there aren’t many things that have the potential of being more exciting.